Today, Hemisphere GNSS announces the release of S321, their next-generation multi-frequency, multi-GNSS survey smart antenna. The all-new S321 combines Hemisphere’s Athena™ and Atlas® technologies along with a completely new web UI offering an unparalleled level of customer-friendly performance making it an ideal fit into any land or marine survey portfolio. The wide range of functionality and ease of use of the S321 makes it a great fit for any professional marine application. Whether you are doing marine construction, hydrographic surveying, or dredging, using the S321 with Athena RTK means you will be able to achieve impeccable results and maintain peak up-time, ensuring maximum ROI. The ruggedized antenna was designed for the most demanding and challenging environments and meets IP67 requirements. Athena excels in virtually every environment where high-accuracy GNSS receivers can be used. Hemisphere’s customers have tested and proven Athena’s performance in long-baseline, in open-sky environments, under heavy canopy, and in locations experiencing significant scintillation. The S321 ships preconfigured to test-drive corrections from Hemisphere’s recently announced Atlas global corrections service. The bundled solution provides users worldwide with an easy way to utilize Atlas, including their worldwide H10 service offering 8 cm 95% accuracy (4 cm RMS). BaseLink™ technology allows Atlas-capable receivers like the S321 to self-calibrate, self-survey, and automatically manage the transmission of RTK correction data to augment or extend established or new GNSS reference networks in areas of poor Internet connectivity. The S321 introduces Hemisphere’s all-new aRTK™ technology. Powered by Atlas, aRTK enables the S321 to operate with RTK accuracies when RTK corrections fail. If the S321 is Atlas-subscribed, it will continue to operate at the subscribed service level until RTK is restored. The S321 also introduces SureFix™, Hemisphere’s new processor running in combination with Athena to provide high-fidelity RTK quality information that results in guaranteed precision with virtually 100% reliability. S321 can be ordered now and is available to ship before the end of the month. 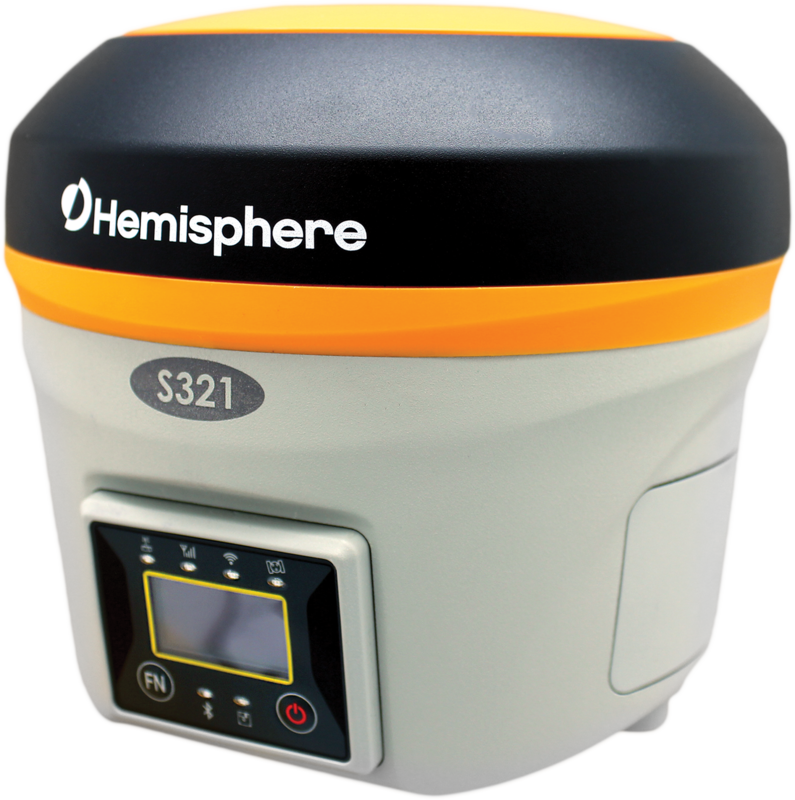 S321 is making its tradeshow debut and is being featured by Hemisphere GNSS at Oceanology International 2016 at ExCeL, London, UK from March 15 – 17, 2016 at booth G500. For more information about the S321, Athena, Atlas, or its other advanced features, please call +1 (844) 217-2845 (within Canada / USA only) or +1 (480) 291-6766, or email Atlas(at)HGNSS(dot)com. Hemisphere GNSS designs and manufactures innovative, cost-effective GNSS products for positioning, heading, and navigation applications for marine, survey, construction, mapping, OEM, and other markets. The Company holds numerous patents and other intellectual property and sells globally with several leading product brands, including Athena™, Atlas®, Crescent®, Eclipse™, and Vector™ for precise GNSS applications. Hemisphere GNSS has its business headquarters in Scottsdale, Arizona, USA and is part of UniStrong Science & Technology Co., Ltd. in Beijing, China. For more information about Hemisphere GNSS, please visit http://www.HGNSS.com.